Don’t wait to repair your denture if it becomes damaged. Repairs and relines are done in our office, often while you wait. A damaged denture is often an uncomfortable denture, and we want you to be as comfortable as if your denture were your own teeth. Denture Relines are recommended by Dr. Van Maren every year. 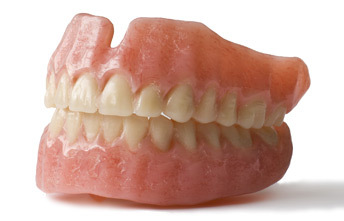 Denture relining is important for maintaining gum health. Denture relining is a procedure where the top portion of the dentures--the part where the dentures come into contact with the gums--is replaced with a new lining, which is formed to contour to the patient's gum line. Your gum line may change every year, which can cause dentures to fit improperly and loosely on the gums. Relining allows for a snugger fit, preventing the dentures from moving around or rubbing painfully against the gums. It also prevents the dentures from breaking prematurely.